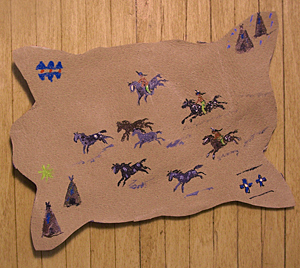 Hand Painted Story Robe Depicting a Party Of Braves Raiding an Enemy Tribe of their Horses. Story Robes Were Used to Record History and Tribal Traditions for Future Generations. 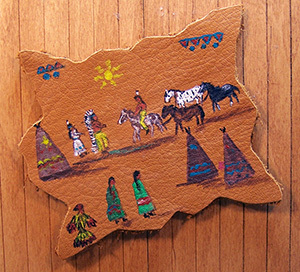 Robe measures 4 inches wide and is painted on deer skin.